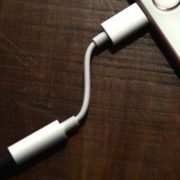 Apple eventually introduced something, the world of technology was awaiting. Yes, you got it. Dual SIM iPhone. It is really a big leap for Apple to deal with the Indian and other markets, where dual-SIM smartphones are pretty mainstream, and most people actually use it to maintain a boundary between personal and work life. Well, dual SIM iPhones are not the same as the regular dual-SIM smartphones, which are used by pretty much everybody today. 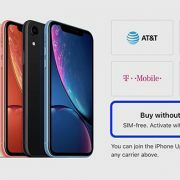 iPhone Xr, iPhone Xs, and iPhone Xs Max will come with a single SIM slot, while the other will be an e-SIM slot, which means, it will not be a regular SIM card we use regularly. What is an e-SIM and difference between an e-SIM card and a SIM card? Before proceeding with what e-SIM is, let’s peep a bit into regular physical SIM cards that are used today. SIM card is a tiny device which most users know about, contain a very small amount of information to allow your mobile phone or the service provider know, who you are, and help them provide the services to you, or customize the services as per your subscription. Thus, SIM cards, in a nutshell, contain some information, which can be comprehended by your handset to enable it to work with your service provider. But in e-SIMs, or Embedded Subscriber Identity Module (e SIM full form), the same thing happens, but the data is not available in a physical form within the SIM card. Instead, you might need to scan a QR code assigned to you by your service provider or enter some details or credentials manually to be able to start using the service provided by your service provider. e-SIM cards, at the end of the day, will cut out your extra step of removing your old physical SIM with the new one. You just need to edit some of the details in the Network section or some app, which should come pre-installed with the operating system present on your handset. How exactly this will be handled by most manufacturers is yet to be seen. Apple and Samsung are working with telecom operators since 2015 to promote the development of integrated e-sim cards enabling mobile devices to switch between different carrier networks. Apple and Samsung are participating in the e-sim card program and are conducting in-depth discussions with the global carrier industry organization gsm association and other peers in the telecommunications industry. e-SIMs is not an invention of today. e-SIM was already introduced by Apple in its Indian version of Apple Watch 3 LTE version. But it was only Airtel and Jio, which came with the e-SIM option and those two service providers are only available at present to come up with such a provision. Airtel and Jio are always having an additional advantage over other service providers in India as they already have e-SIM cards in circulation, and chances are very strong there will be separate tariff plans available for those who will use the e-SIMs of the following companies on the latest iPhone models. Apple might be a little late to leap into the world of dual SIM smartphones, but it isn’t the first company, as well to introduce e-SIMs. Previously Google introduced e-SIM support in its flagship Pixel 2 and Pixel 2 XL but limited it only to the US markets. e-SIM at present is available in 9 other countries as well, and Austria, Spain, UK, are a few to name apart from India. e-SIMs is future. There isn’t any doubt about it. But the transformation of physical SIM to e-SIM will not be very fast. It will take time. Physical SIM cards will not be extinct any time soon, but companies will definitely emphasize in manufacturing handsets with e-SIM support. Some more Indian service providers should come up with e-SIM provisions, as Airtel and Jio are already having an advantage. e-SIMs are really great as the process of switching from one service provider to the other will be simpler and more hassle-free. The world will see a brighter smartphone market with more e-SIM based handsets coming into play. After e-SIM is implemented, the mobile phone will pre-install the e-SIM card in the device when it leaves the factory. It does not lock a carrier network, users can switch operator services through the system interface, and do not need to take out the SIM card. And replacement. e-SIM also has a very important benefit for mobile phone manufacturers, because they do not need a SIM card slot, so they (mobile phones manufacturers such as Apple and Samsung) can design thinner devices. However, in the early days of e-SIM implementation, physical cards will still exist, but when the e-SIM standard is formally established, the physical SIM card will be forgotten by the passage of time. At present, many operators support the development of e-SIM technology, including AT&T, Deutsche Telekom (owner of T-Moile), Vodafone, Telefonica, and Orange. Apple and Samsung are the two main developers to implement the e-SIM standard. 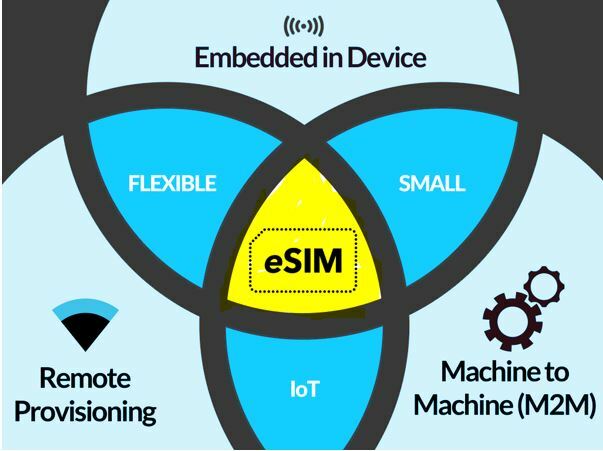 In addition to mobile phones, smart wearers and tablets, e-SIM is also used in smart cars and industrial equipment (Internet of Things). The E-SIM card is a boon for the user, but the challenge to the operators. What is the problem with the E Sim? The technology of e-SIM has matured, and the major operators are really hindering its development because operators believe that e-SIM will break the existing profit model and damage its own interests. For example, the ability of e-SIM to easily change the operator and multiple devices to share the same mobile phone number will make the user’s dominance become larger, and the opportunity and amount of the operator’s charging will be less. Also, in case, the operators would bind e-SIM phones to only use their own network. In such scenario, the average user can only be forced to continue using the carrier because the e-SIM cannot be easily replaced like a conventional SIM card. All the technology comes at some price and the price is you have abandoned the old one. For example, to gen uni-boy slim design the manufacturers introduced the non-removal battery, and the same thing happened to the memory card expansion and 3.5 mm headphone jack. Now our traditional SIM card is on the verge of experience the same thing it will replace with e-SIM but before embracing this upcoming technology, let’s what exactly the e SIM technology give us or shall I say the benefits of eSIM. Since there is no plastic frame and large area contacts that require a traditional SIM card, the e-SIM is much smaller than the smallest Nano-SIM. A phone with e-SIM phone and without memory expandable slots can save lots of space that opens a room for manufacturers to make it more slimmer or allow engineers to plug in more hardware into the body. Currently, the method of using different carrier networks on the same mobile phone is to eject the card slot for the SIM card. Some mobile phones also need to be turned off to replace the SIM card, which is very troublesome. With e-SIM, changing operators is as simple as changing a system setup. Of course, the premise is that the user has an activated mobile phone number in multiple operators, and the e-SIM has data and authentication information of different operators. This is especially convenient when going abroad for a local carrier network. It is worth mentioning that e-SIM can also allow multiple devices to use a mobile phone number at the same time. e-SIM is very friendly to people who need to change SIM cards frequently and don’t want to carry them with them. 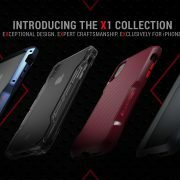 Dust and waterproof feature is a must-have feature for all kinds of mobile phones, especially high-end smartphones. What further hinders the dust-proof and water-discharging performance is the various openings in the mobile phone, especially the movable opening of the card slot. Once there is no card slot, the mobile phone has less potential water intake, and the manufacturer does not need to do extra waterproofing inside or around the card slot. The mainstream aesthetic thinks that the smaller the opening and seams of the mobile phone, the stronger the overall sense and the better. The phone with the e-SIM can be used to eliminate the card slot, thus erasing the most visible opening on the side of the phone. This effect is different in mobile phones of different shapes, materials, and colors. In some shapes of mobile phones, there is no card slot and even the body feel can be improved. Why do you have to turn off your phone on an Airplane?